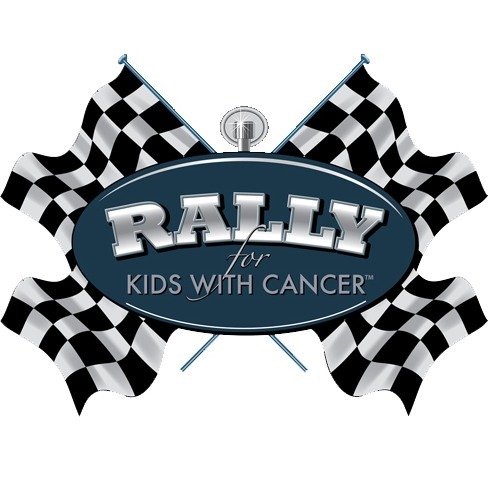 Rally for Kids with Cancer, presented by Dollar General, is proud to announce Eddie George, Heisman Trophy Winner and NFL Alumni of the Tennessee Titans, as the Honorary Celebrity Chair of the second annual Rally for Kids with Cancer Scavenger Cup in Nashville, October 2nd and October 3rd, 2015. BG Capital Group Chairman Bobby Genovese is joined by J.R. and Kailey Hand of Hand Family Companies as Co-Chairs of the event. Monroe Carell Jr. Children’s Hospital at Vanderbilt will be the benefactors of the event. The event’s goal is to raise much needed funds for children’s cancer research, care and treatment, in the hopes of one day soon ending children’s cancer. “As the event co-chair and co-founder of the Rally for Kids with Cancer, I felt that it was vital that we all worked together to provide much needed resources and support for pediatric cancer initiatives, and with everyone’s help the event raised more than $600,000 last years,” said Bobby Genovese, Chairman of the Board BG Capital Group. Monroe Carell Jr. Children’s Hospital at Vanderbilt, a freestanding hospital dedicated to serving only children, is nationally recognized as a leading provider of pediatric health care services. The world-class facilities at Children’s Hospital are a testament to our community’s dedication to the health of children. Constructed in 2004 and expanded in 2012, our 271-bed hospital is a child-friendly place built on the science of healing. Children’s Hospital is a top-level teaching and research facility. No child is denied care on basis of limited ability to pay. Rally for Kids Scavenger Cup is an event which began in Canada eight years ago and has raised more than $16 million to support pediatric cancer research, treatment and care. Nashville Rally for Kids with Cancer is an event supporting the Rally Foundation for Childhood Cancer research, national charity here in the US benefiting the Monroe Carell Jr. Children’s Hospital at Vanderbilt. Rally Foundation for Childhood Cancer Research began in 2005 in Atlanta by a lady named Dean Crowe in response to a local mother’s plea for research dollars to help her 12-year-old son who was fighting a brain tumor. “Raise money for childhood cancer research and fund the best research wherever it may be,” she asked. The Rally Foundation is a national charity in the USA which raises awareness and funds for childhood cancer research. It has raised more than $7 million and funded more than 120 cutting-edge research projects around the country. The Rally for Kids with Cancer Scavenger Cup is a unique, exhilarating and memorable event that provides participants with two incredible days filled with fun and excitement. Described as a high-end scavenger hunt meets “Amazing Race,” this event features luxury vehicles and will challenge, inspire and entertain. Car enthusiasts and philanthropists who participate as drivers must raise a minimum of $25,000 each to enter their car and draft a Celebrity Navigator. Fueled by an extraordinary schedule of events and exclusive pit stops, Rally Drivers and Celebrity Navigators embark on a journey of a lifetime. Past celebrities include: Billy Baldwin – Actor, Gossip Girl, Hawaii Five-0, The Squid and the Whale, Backdraft; Anne Dudek – Actress, House, Covert Affairs, Mad Men; Jason George – Actor, Mistresses, Grey’s Anatomy; Omar Benson-Miller – Actor: Actor, Ballers, CSI Miami; Rick Fox -3 X NBA Champion, Actor, Producer & TV Personality; Rick Hoffman- Actor, Suits and more. The Rally event will begin with an exclusive cocktail party on October 2, 2015, at the Oz Arts in Nashville to provide Rally Drivers with the opportunity to meet and recruit their desired Celebrity Navigator. The following day begins with the “Start Your Engines” brunch before participants set out on their day-long adventure marked by an extraordinary schedule of pit stops at some of the city’s most renowned establishments and venues. The event culminates that evening with a star-studded gala dinner at the Hilton Nashville Downtown, 121 Fourth Avenue South, where Rally drivers, celebrities, sponsors and invited guests revel in their experiences while enjoying an incredible dinner, award-winning entertainment and live auction prizes during the Scavenger Cup awards ceremony.